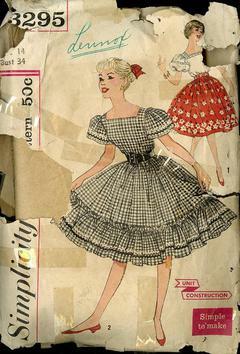 1959 Simplicity #3295 vintage sewing pattern, junior miss square neck blouse and skirt, size 14. Blouse has short gathered sleeves. Gathered skirt has back zipper closing. V. 1 blouse has elastic at lower edge of sleeves and is trimmed with lace insertion. Skirt may be of border fabric or plain. V. 2 skirt has gathered ruffle at lower edge. 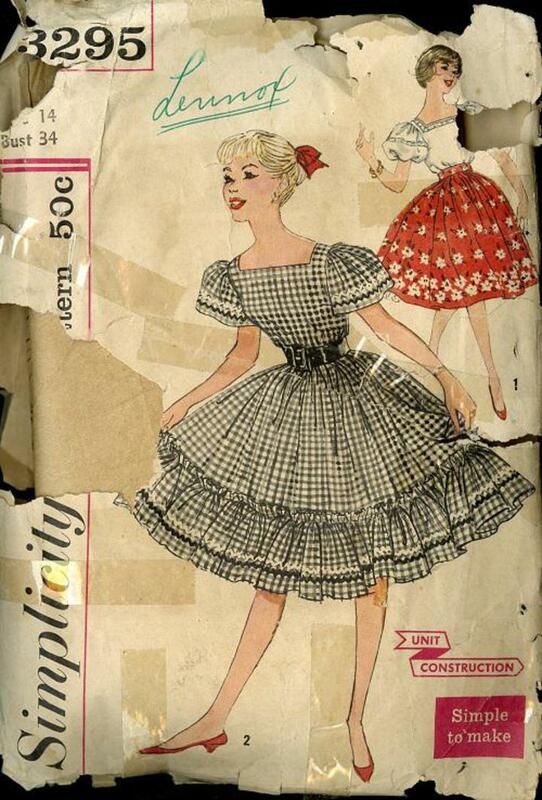 Some pattern pieces are slightly wrinkled. Envelope in poor condition.